An undertaker, Green (Howard Goorney) conducts four pallbearers out of a lift into the hallway of an exclusive penthouse floor of a building. He enters the apartment where Madden (Patrick Holt) is reading the paper, fires his gun three times; at the second shot, the pall bearers remove their top hats and bow solemnly. Steed arrives at Cathy's apartment to give her groceries that he won't need, as he's been assigned to accompany Professor Renter to America and will be absent some months. He then goes to the same building as the undertakers, but knocks on the door of the next apartment. The professor's wife (Lally Bowers) answers the door, and tell Steed that her husband has suddenly retired to a life of meditation and will see no-one. After Steed leaves, Mrs Renter goes into another room where Lomax (Lee Patterson) is coaching Wilkinson (Ronald Russell) in impersonating the Professor. Lomax later slips next door for a liaison with Madden's wife, Paula (Jan Holden). They rejoice at Madden's demise but their embraces are interrupted by the unexpected early return from a finishing school by Madden's daughter Daphne (Mandy Miller). They tell Daphne that her father has gone away for a few days. 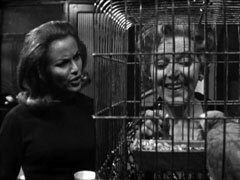 Steed visits the exclusive rest home Professor Renter is supposedly residing at, but the stern Mrs Lomax (Marcella Markham) refuses to let him in, telling him that unless Renter gave him a yellow visitor's card, he can't come in. Steed leaves a note on his business card, and sees Green's pallbearers carry a coffin out of the building. Mrs Lomax calls her husband at the Madden's apartment, telling him about Steed, and tells him she wants a 50/50 split of the profits, now their relationship is purely business and no longer friendly. 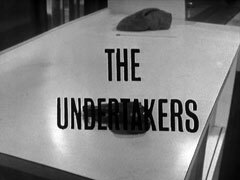 Lomax decides to send the undertakers round, he calls Green and arranges his services for the following night. Green tells his men, who are emptying the coffin they've brought from Adelphi Park of a dummy and some bricks. Meanwhile, Steed shows Cathy a list of the 'inmates' of Adelphi Park and she exclaims that they're all millionaires. 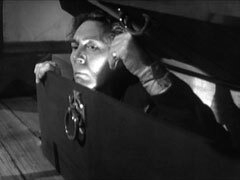 When Steed investigates Green's funeral parlour, posing as Mr Small from Small, Blake and Sombre, funeral suppliers, he sees Mrs Lomax in the coffin. Steed returns to Mrs Renter's apartment but she tells him she's about to take up the Matron's job at Adelphi Park, and can't find her husband's plans to hand over to him. Daphne enters and tells him her father has also disappeared. When she returns to her apartment, she sees Lomax smack her mother in the face for arguing about Mrs Renter's appointment. Cathy arrives, posing as a charity collector from the architect's association and is told Madden is at Adelphi Park, much to Daphne's horror. 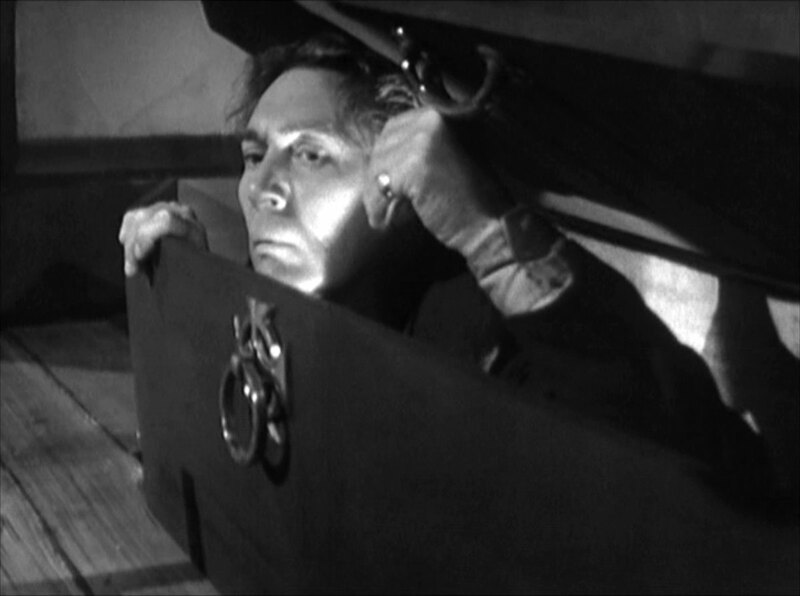 Madden emerges vampirically from a coffin in Green's workshop after the pallbearers are called away, has a cup of tea then returns to his hiding place. Mrs Gale discovers that Mrs Renter's husband is an actor hired to replace him - she slips up by asking him if he takes sugar in his tea - so she doesn't lose most of his fortune in taxes. Mrs Renter happily tells her about "The Undertakers", a fine organisation who organises for millionaires' families to avoid death duties. She reveals Mr Lomax takes care of anything, but there another man higher up who runs it all. Instead of losing 80% to death duties, she pays "The Undertakers" only 25%. Cathy asks is Mrs Renter can trust them, or even her and Mrs Renter beams - she's checked on Cathy and knows about her criminal past, as related by the helpful Mr Steed at the employment agency. Madden meanwhile thanks Green for his setup and tell him he's going to kill Lomax when he arrives, then descends back into his Draculaean lair. The retirement home arranges the send-off of the actress playing Dame Gwyneth Hope-Griffiths, Mrs Baker (Helena McCarthy), as the legal date of death has been reached. The actress is going out to Australia, with £2,000 being paid into the Bank of New South Wales. Daphne meanwhile goes to Adelphi Park, and enters the house looking for her father, but is shown the actor Reeve (Denis Forsyth) instead and detained by Mrs Renter. Madden plots with Green to avenge himself on Lomax, who will be in the coffin for the next funeral instead of the usual bricks. Green and Madden get ready to go to Adelphi Park, and Green reveals he considers Madden more useful to the company that Lomax would ever be, so hadn't followed the orders to kill him. 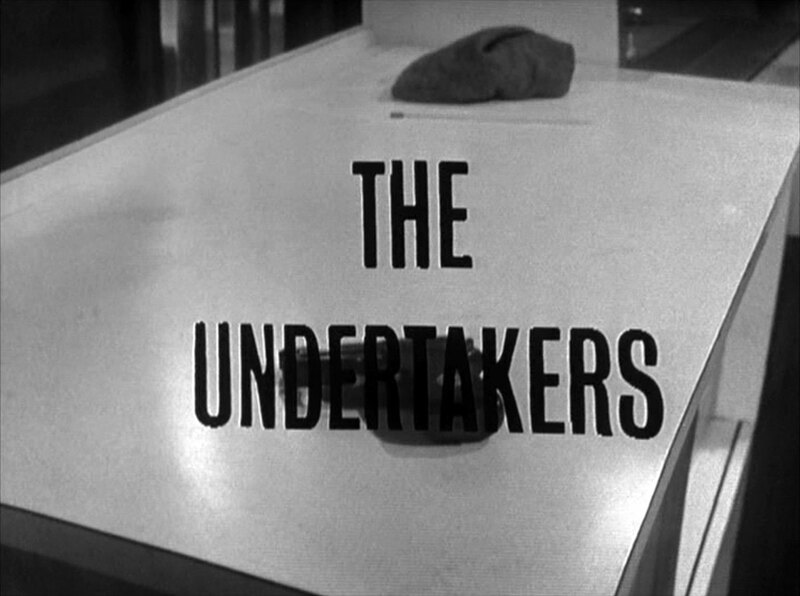 Steed breaks into the parlour after they leave and overpowers Franks (Valentine Musetti) before searching the place - he discovers a coffin with his own name on it! 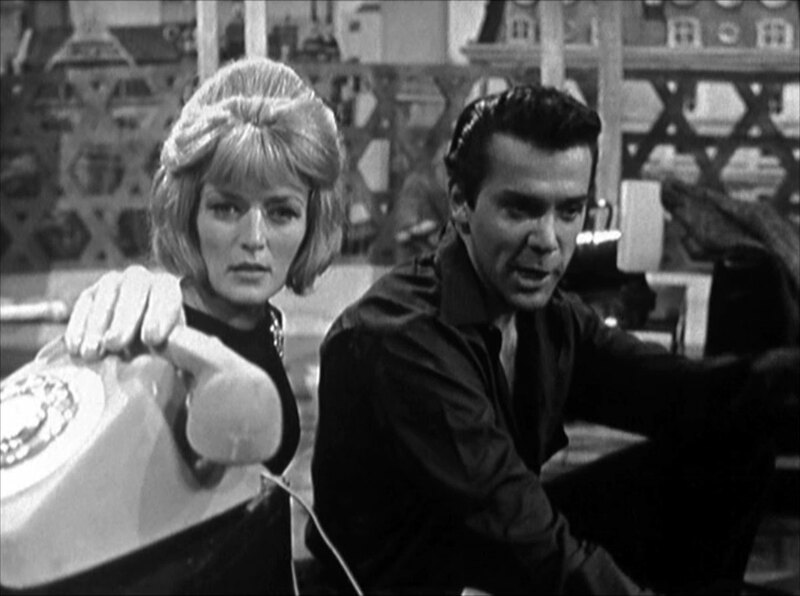 Cathy tries to help Daphne escape but they're cut off by Lomax, who reveals he learned of her phone conversation with Steed. Paula tells Daphne her father is dead - a heart attack, adds the dotty Mrs Renter - but then Madden appears at the door and shoots Lomax. He asks Paula what she planned to do to Daphne then says Paula will have the trip back to London to ponder her own fate. Madden turns to Cathy, saying her friend has been taken care of, but then Steed bursts in and a furious running gun battle takes place through the grounds and Grecian statues of the home. 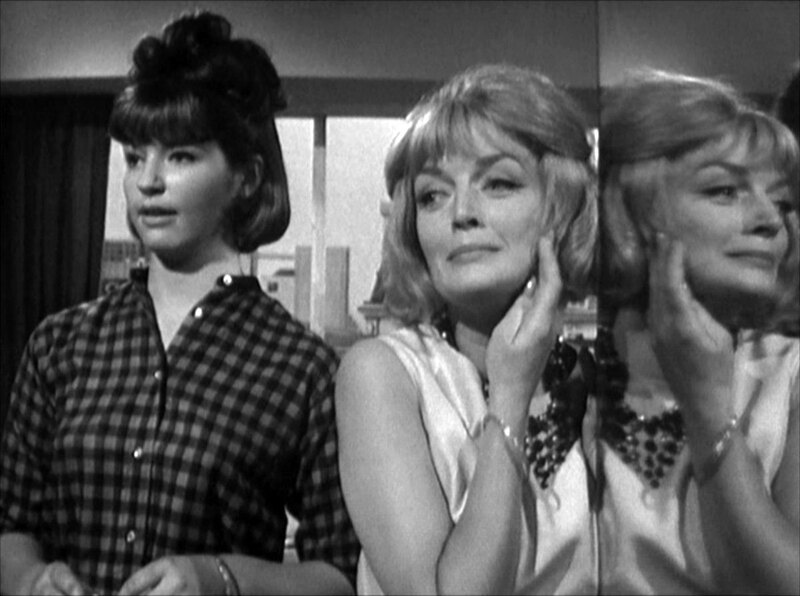 Cathy leaves Daphne in charge of Paula and Lomax and joins the chase, The Avengers subduing Green and Madden. Mrs Renter is absolved of guilt by the police and is set to make a new million from the royalties of her husband's invention. She farewells Steed and Cathy to go on an around the world tour. Steed contemplates taking a day trip to Adelphi Park to revisit the "big girls" around the fountain.